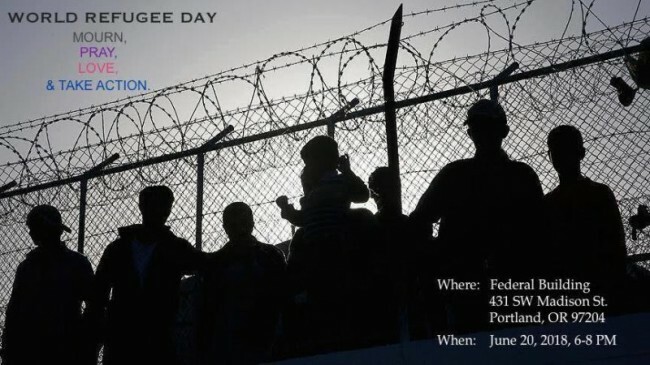 Atlanta, GA, June 19, 2018: Fifty-two Indians are among those held at a federal prison in Oregan under the Trump administration’s ”zero-tolerance” policy against illegal immigration, the Asia-Pacific American Network of Oregon said on Tuesday. Over the last month, 123 immigrants seeking asylum have been detained and transferred to Oregon’s Sheridan federal prison in Yamhill County. The majority of the 123 people in the Sheridan prison are South Asian, who speak primarily Hindi and Punjabi, and a few identified as Chinese. As reported in The Oregonian, several identified themselves as Sikhs or Christians fleeing religious persecution. Fifty-two listed India as their home country. The migrants told a visiting congressional delegation they are locked up 22 to 23 hours a day, three to a cell. Those with families say they have no idea where their wives or children are, and they fear they’ll be deported and separated from them forever. President Donald Trump’s new “zero-tolerance” policy that prosecutes and separates families of anyone unauthorized to enter the country, including people leaving their native country as a political refugee to seek asylum protection is cruel and inhumane. The damage caused by this policy – children in makeshift shelters, overflowing detention centers, and human rights violations – represent a humanitarian crisis that has now hit Oregonians in our backyard. A rapid legal response effort is underway led by Innovation Law Lab and the Oregon chapter of the American Immigration Lawyers Association. APANO is connecting with local South Asian communities and our One Oregon Coalition to raise further awareness and support for the detainees, and tonight APANO will be going to Sheridan with community partners to demand an end to immigration policy that separates families and show support for detainees, their full rights, and transparency on their children’s location and plans for reunification. Four members of Oregon’s congressional delegation, all Democrats, toured the detention center on Saturday, reports The Oregonian. The migrants told the politicians they are locked up 22 to 23 hours a day, three to a cell. It’s been difficult to impossible to talk to a lawyer. Those with families say they have no idea where their wives or children are, and they fear they’ll be deported and separated from them forever.